It’s been an unbalanced, multi-polar week in Canadian Cannabis history. On Thursday June 11, the Supreme Court of Canada published the last word on the status of edible cannabis meds in Canada: legal, effective immediately. Up until then, the rule had been smoking or vaping only. Upon hearing the ruling, patients wept with joy. Parents of epileptic toddlers wept with joy; they had been treating their children with cannabis oil, but illegally. Friends of the above wept with joy. Canada’s Health Minister Rona Ambrose did not. She described herself as outraged. She accused the SCC of presuming to define ‘medicine,’ a job she believes belongs to her Ministry alone. Of course the SCC was presuming no such thing; it ruled that legal cannabis can be made into oils and baked goods. Ms. Ambrose says it is her Ministry’s responsibility to keep young Canadians safe. One ought to ask the parents of young epileptics what they see in this claim. She has yet to acknowledge their existence. There has been turbulence in Southern BC too. Vancouver and Victoria City Councils have recently announced that they will regulate cannabis dispensaries, illegal under federal law, as legitimate “marijuana related” businesses. This announcement was met with more expressions of joy. These may be short-lived, though, as activists have stumbled onto a hitherto concealed barrier. Vancouver City Manager, Penny Ballem, and Chief Medical Health Officer of Vancouver Coastal Health, Dr. Patricia Daly, opened public hearings on June 10 with a description of the Council’s proposal. It plans to ban the sale of edibles. It will permit the oils and, I assume, cannabis infused butters. Ballem and Daly say that cookies and candies appeal to children; that 63 young gourmands were treated as emergency outpatients at St. Paul’s hospital during the recent 4/20 celebrations; and that reports from the US mention poisonings of children from edibles. Reasonable people—lawyers, bakers, dispensary owners, patients, and others—have pleaded with the council. But thus far their answer remains: No. This barrier, it turns out, is really sturdy. It may well stay in place. 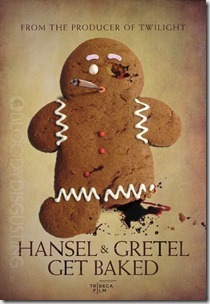 Whilst puzzling over this dilemma, it occurred to me that there is something in it of Hansel and Gretel. 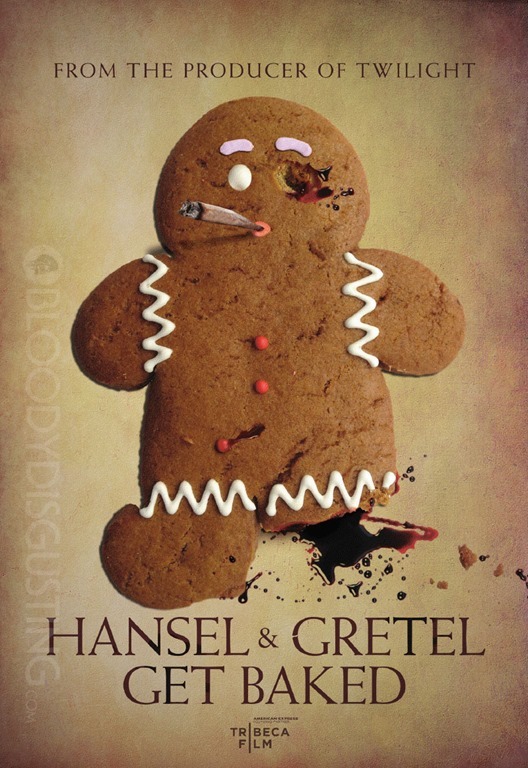 They’re the German storybook characters who nibbled on a house made of cookies and candies, only to find themselves captives of its owner, a ‘boy and girl’ eating witch. The house represents the cannabis edibles, and Hansel and Gretel, the children. I had a problem, however, trying to cast the witch. Maybe she is prohibition. But the reality is: Vancouver City Council is not prohibitionist, and gives no indication that it thinks it’s dealing with witches. Councilors are afraid that should a child become ill from a dispensed candy, they will be held responsible. Then they’ll be the ones cast as witches. If that’s truly the Council’s fear then I say it is well founded. To illustrate this point we need only to turn to our popular storytellers, the journalists who shape public images. I spent a few days this week rummaging through articles on both the SCC decision and the dispensary issue in five papers: The Globe and Mail; The National Post; The Province; The Vancouver Sun; and Victoria’s Times Colonist. Here’s what I found. All five stood firmly behind the SCC decision, and had harsh words for Minister Ambrose. A National Post editorial called it “A Win For Common Sense,” and the federal ‘smoking only’ rules, “asinine.” The Vancouver Sun’s Ian Mulgrew described the decision as “stinging in its brevity and common sense.” The Times Colonist focused on Owen Smith, who won this case, and on the calls of gratitude he has been receiving. The Province called the decision “yet another rebuke on the Harper Government’s tough on crime agenda.” Sean Fine at The Globe and Mail was reserved, but said this: Rona Ambrose is accusing the Court of misleading Canadian Youth. That’s harsh. In these articles the journalists’ vocabulary was respectful. They stuck to the phrase: ‘medical marijuana,’ occasionally moving to ‘pot.’ They recounted the stories of the Canadian children who suffer from seizures, and how cannabis has helped them. But they wrote in a different dialect when reporting on the dispensaries. 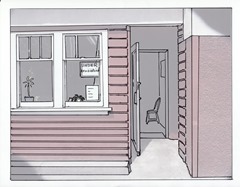 On this issue we read about ‘pot shops’ and on one occasion, ‘marijuana dispensaries,’ but never ‘medical dispensaries,’ and never ‘medical marijuana.’ The Province noted the “rapid growth of illegal pot shops” in Vancouver. The Sun’s headline ran: Passionate Debate Over City’s Plan to Regulate Pot Shops.” Mike Hager at The Globe and Mail offered this contorted figure: City Refuses to Back Sale of Edibles in Illegal Pot Shops.” If he meant to make the City look absurd, he succeeded. Among these, the Times Colonist offered the one friendly phrase: ‘medical-pot shops.’ G & M’s Gary Mason took prize for the least friendly: “Some fear that the mayor’s attempt to regulate the industry will end up killing some shops, forcing people to walk farther to get their favourite hash brownies.” To borrow from the SCC, these words are not trivial. The people who wrote them use words professionally. Someone out there read that last sentence, and formed a warped impression. Further, the dispensary stories say little or nothing about illnesses. You can sympathize with the City Councilors. Given the chance, this gang of scribblers could shred them. What the scribblers need, I believe, and what everyone needs here is a panoramic viewpoint. I’d like to offer one by considering another story character: Mary Poppins, the English movie nanny who sang these words: “A spoon full of sugar helps the medicine go down.” Of course she was talking about making chores seem lighter, but the figure wouldn’t have work had the idea not been so familiar. The fact is, the concept of sweet, edible meds is old and pervasive. Consider the following list, whose extensions in the real world are everywhere to be seen. 725 kinds of sugared energy drinks, the strongest of which is Death Wish at 800 mg. per can. There is also Perky Jerky: caffeinated beef; NRG potato chips: 1 cup of coffee’s worth per bag; Think Gum: gum with a jolt; Penguin Caffeinated Mints: 3=1 cup of strong coffee; Vat19 Energy Gummy Bears; and Cracker Jack Power Bites. Chocolate booze-filled bottles, popular at Christmas time; Skittles Vodka in cute pastel bottles; and kiddie shots. 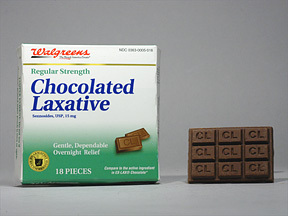 And lets add chocolate Ex-Lax; gummy vitamins; candied antacids; sugary cough syrups; and pipes and cigars made of licorice. Many of the above could land a kid in hospital. Nearly all are more dangerous than cannabis, and some are lethal. But here’s the point. Candied meds will not go away. They are permanent fixtures in our mental landscape. They may be genetically coded. It should come as no surprise then, that ancient cannabis practices included majoon: candy made with hashish; and bhang: cannabis infused milk. (There was also opium candy made with honey and spices.) In 1954 Alice B. Toklas published her cookbook featuring hash fudge and brownies. By the 60s they’d become popular. In the 90s “Brownie” Mary Rathbun, activist and co-author of California’s Proposition 215, braved prosecution to make medicated brownies for aids and cancer patients in San Francisco. Since then they’ve been symbolic. Kirk Tousaw, the lawyer who fought the SCC case, got it right when he reminded Vancouver City Council that the dangers of these confections are exaggerated; that no child has been hospitalized as a result of eating them; and that there is no poster child for death by cannabis. The problem is: pharmaceutical and food companies have big budgets for lawsuits; The City Council does not, and probably fears one. Besides, its job is to stay out of such things. So will the Councilors alter their view on edibles? If not, I recommend taking guidance from Little Red Riding Hood, today’s final storybook character. Her mom sent her out with a basket of goodies to give to Grandma, who was ill. Undoubtedly they were medicated goodies, or why would she be sending them to an elder with a health problem? As this story illustrates, medical baking skills date back to mythic time. Worst-case scenario: we become Riding Hood’s mom, baking and delivering to friends and neighbours. 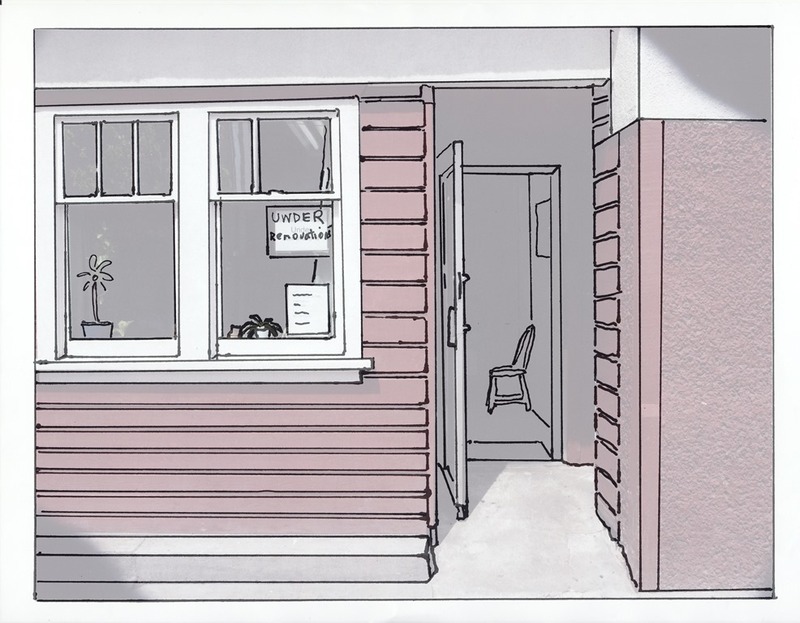 National Access Cannabis, a patient-doctor liaison office in Victoria, has just opened a teaching kitchen to spread the skills of cooking with cannabis. Maybe every shop should do that. For the handicapped, bakeries may have to employ fleets of Red Riding Hoods to ship or deliver the goodies that shops cannot carry. The SCC has just exiled The Big Bad Wolf, so the woods will be relatively peaceful. If Vancouver City Council sticks to its ban on edibles we on the Island may see something similar, as Victoria City Council may follow suit. The Vancouver hearings are set to continue on the 22nd; over 200 thus far have signed up to address the Council on this and related matters. If you’ve got a minute, join them. Someone’s story may yet shift Council’s perspective. If not, get out your pans. You’ll need them.